Licensed child care centers in Marin County and Sonoma County are required to have their staff trained in CPR and First-aid by an EMSA approved course. Safety Training Seminars is approved to teach American Heart Association CPR and First-aid classes. The EMSA license number is 0204-DC. 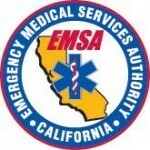 EMSA stands for Emergency Medical Services Authority and is an organization that inspects and monitors Marin home child care centers and large child care centers to make sure they are in compliance with current CPR and First-aid certification. According to EMSA, child care staff must be certified in CPR, First-aid, and Health and Safety. Health and Safety is a one time class which does not have an expiration date. We only offer this class once every 4 months in San Francisco. The CPR and First-aid certification cards are valid for 2 years from the American Heart Association. Warning: There are many scams on the internet and in the Bay Area for fake (uncertified) child care CPR and First-aid training classes. Make sure you take an American Heart Association CPR/First-aid class that is accepted by EMSA. The above courses are all accepted by EMSA. Call us if you have any questions at 415-437-1600.